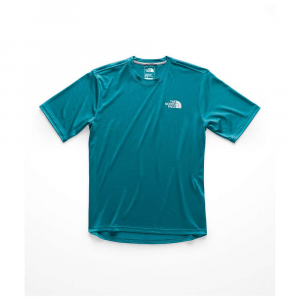 I was trying to choose a wool T-shirt to try hiking in, and maybe to run in. This one attracted me by the colour (galaxy!) It's true to most of the pictures: a vibrant purple with a pink stripe on the shoulders — in fact maybe even brighter than I expected. The wool is lightweight and fine, a bit itchy at first but hasn't been a problem since the first washing. I am not sure how well the fine fabric will hold up over time, but for daily wear it's been OK. Fit is modern, ie, not too wide across the shoulders, fits over the bust, and then rather shapeless below that and too long for a short waisted short person. However, that's the style overall these days. I found a size XS to be too long, loose, and too fitted in the shoulders. The size S was the same, but better in the shoulders. Also I suppose it doesn't need to be too tight, I could layer it over a tank top if necessary. Overall true to size, as I have wide shoulders, am 5'4" 128, 32C and with muscled arms. Often I find it hard to get things to fit in the shoulders. Overall I like this shirt. It seems like it will do what I need but I admit the color combination and simplicity are what convinced me to keep it rather than hunt for something "perfect." I decided to try out an Echo-T from Ibex. 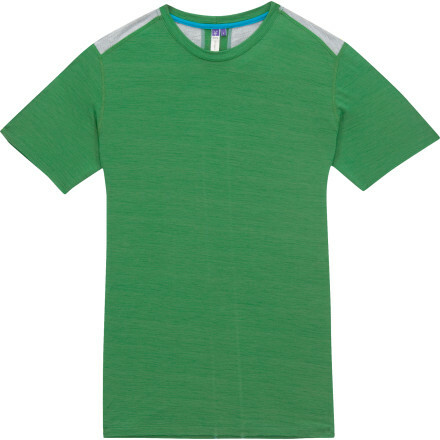 This is a basic T-shirt made with retro styling. 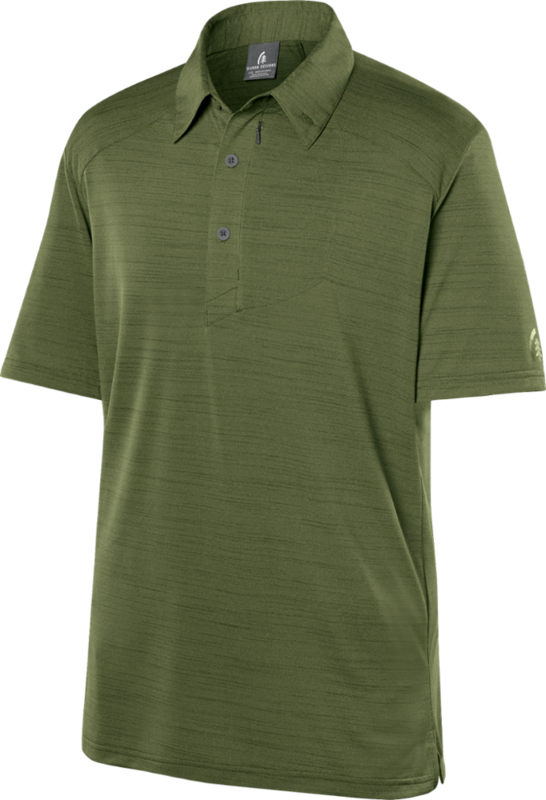 The Echo-T comes in a choice of base colors with accents on the neck, sleeves and back in a contrasting color. The one I chose is Coconut Shell/Burnt Red, purchased for $65.55. The fit is very nice on me, a 6 foot 4 inch, 225 pound fit man. While it is not a fitted garment, it is certainly not overly baggy. It has enough length to reach below the waist, and the quality of manufacturing is excellent. Of course the highlight of the shirt is the material from which it is made. It is made in the USA from 100% New Zealand Merino wool. The weave is very tight, and the fabric has a pleasant natural stretchiness to it when worn. Like synthetics, it wicks perspiration away from the body. It also has very nice temperature regulating properties. 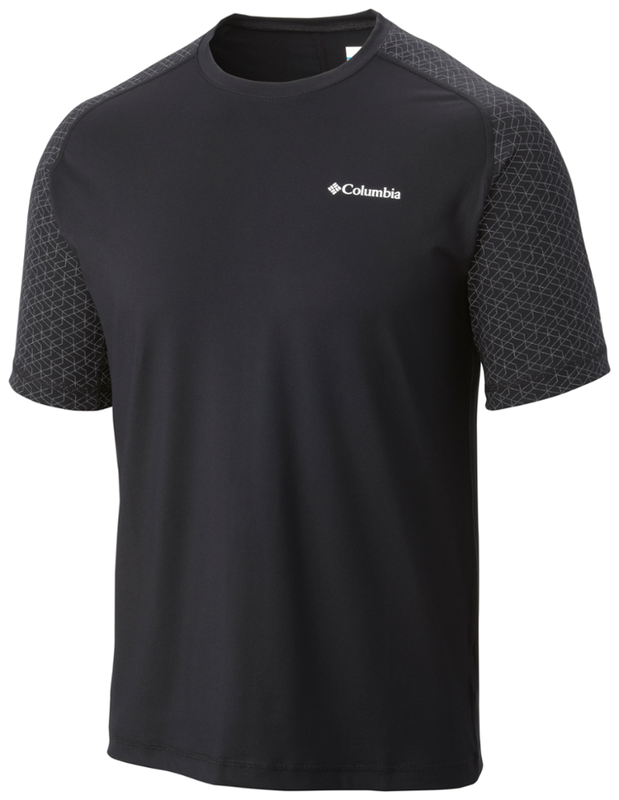 So far I have found it comfortable in all temperature ranges I have worn it in (45 F - 75 F). It insulates in the cooler temperatures but breathes very well at the same time for wear in hotter temperatures. The shirt also has all of the anti-odor properties as advertised. Even after heavy perspiration and wear, there is no detectable odor. This fact was verified by family members (lucky volunteers) who happened to be close at hand after a long cycling session. The material wicks very well, but it does take a little longer to dry than a synthetic fabric. However, the thermal properties are unchanged when wet (unlike cotton). My final opinion is that this is a really well made T-shirt that is comfortable, stylish and attractive for many different settings. 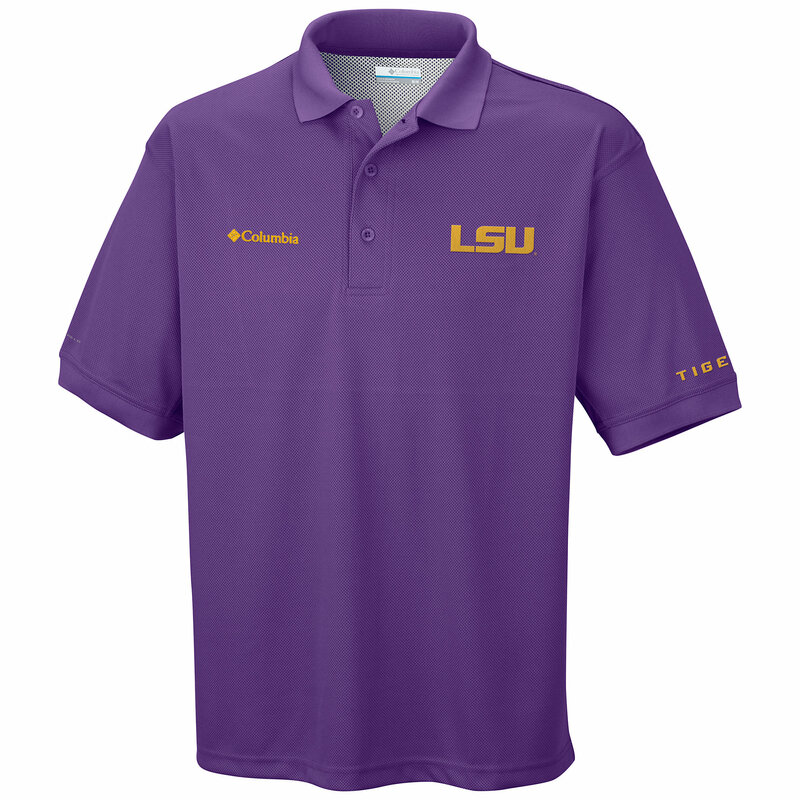 Also, I expect that this shirt will last far longer than a comparable garment made of cotton or a synthetic material. 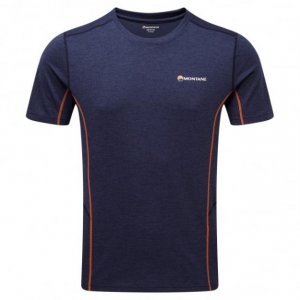 The price is higher than you would pay for a regular T-shirt, but not much different from a high end synthetic made by Patagonia, Marmot or any other top end manufacturer. 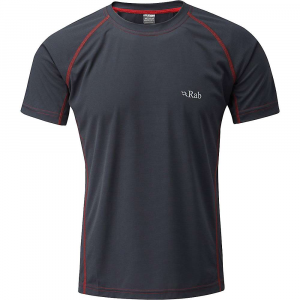 It is a nice way to try Merino wool clothing without the extra expense of the Ibex Qu-T. Finally, this is a nice sustainable product. Merino wool is harvested from the same sheep year after year. Ibex certifies its suppliers as providing a quality product that also comes from sustainable, environmentally friendly and humane production methods. Synthetics can be made from recycled material, but the majority come from new production of fabric with fossil fuels (crude oil) as the base source. Check out the Echo-T, I think you will be very satisfied. The Ibex Echo T is not available from the stores we monitor. It was last seen March 22, 2019	at Backcountry.com.